There is nothing better than walking into a pub that makes you feel like you are entering somewhere warmly comforting and familiar. This is how it was when I entered the Cross Keys at Mannington and the landlady, Viv, welcomed me with a smile. Having grown up with a “good old-fashioned pub” at the various places I lived in during my formative drinking years, it was pleasing to find these traditional places haven’t all been lured over to the dark side of jus instead of gravy, or crème anglaise instead of custard. It was an unusual event for two of the mags4dorset marketing team to have an evening out and sample some of the food on the menu, and ales from the bar. Mark and I relaxed in a quiet corner and contemplated what we were going to choose from the wholesome pub grub on offer. Over a pint of Dartmoor Brewery’s finest Jail Ale for me, which is incidentally brewed in Princetown – one of the places where I grew up – and a pint of lager for Mark, we made our selections. Mark chose Breaded Mushrooms with Garlic Dip and I opted for the ever-popular Duck Pâté. We didn’t have to wait long before the starters arrived. The mushrooms were piping hot and succulent and came with a creamy dip and side salad. 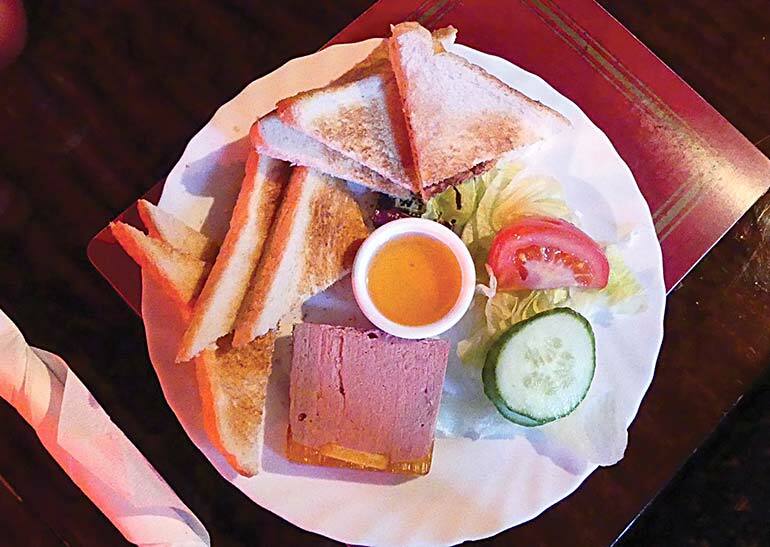 The pâté was smooth and the orange sauce perfectly complemented the richness of the taste. Both dishes were devoured with gusto and anticipation of the main course. 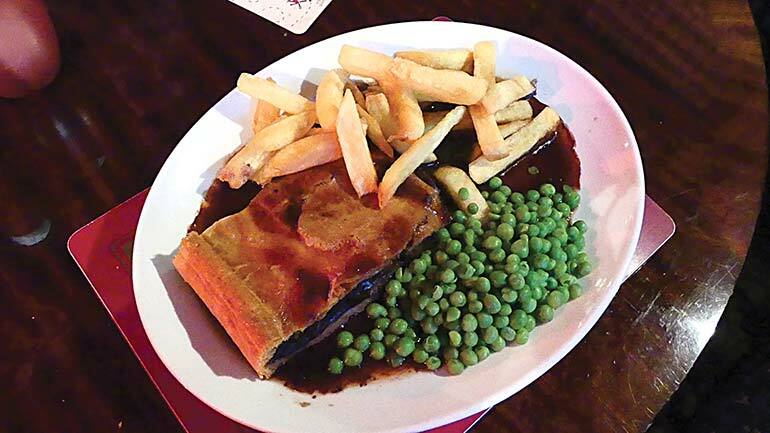 Mark chose Viv’s special of Steak & Kidney Pie made with British beef and Guinness encased in handmade short-crust pastry. It came with chips, peas and gravy. The beef was tender and the pastry was melt-in-the-mouth good; the portion size was enough to satisfy anyone with a hearty appetite. 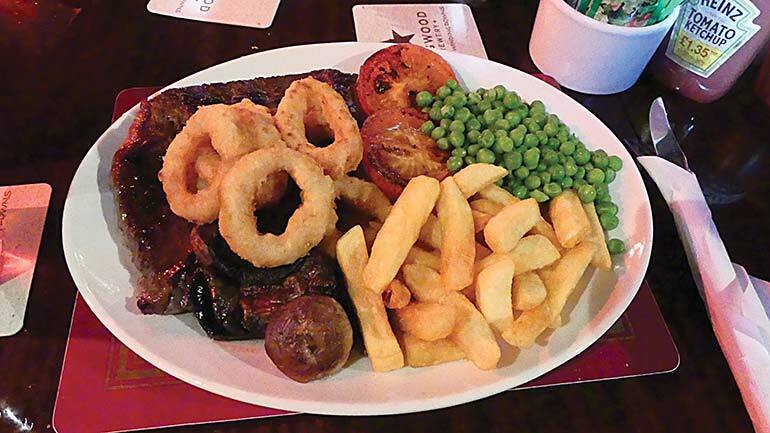 I also went for an old favourite of the pub grub menu – the 10oz Rump Steak which came with all the trimmings of chips, peas, grilled tomato, mushrooms and onion rings. The steak was perfectly cooked to medium-rare and tantalised the taste-buds along with the rest of this fine dish. Again the portion size was easily enough to satisfy the largest of appetites. The sweets we chose were again wholesome and filling with a Blackberry and Apple Crumble with lashings of custard for Mark and a tasty Chocolate Brownie pudding served warm with clotted cream ice-cream for myself. With those polished off, Mark and I decided to round the night off with some old-fashioned pub entertainment and had a game of darts. I don’t think that local celebrity darts’ champion Scott Mitchell will be quaking in his boots anytime soon but we had a go. 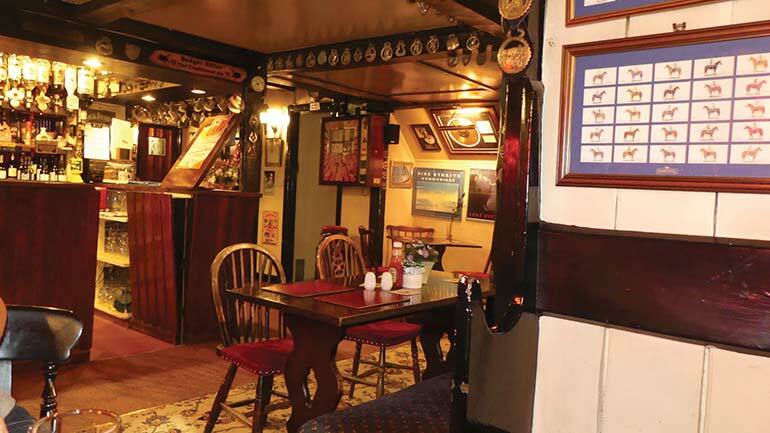 Anyone who likes the thought of visiting a traditional country pub that serves good food without the frills of the gastro pub, and has a fine selection of wines, beers and spirits, is sure to enjoy a meal at the Cross Keys at Mannington.